Creative JumpStart 2017 - registration discount today! Plus Stencil sale Monday! 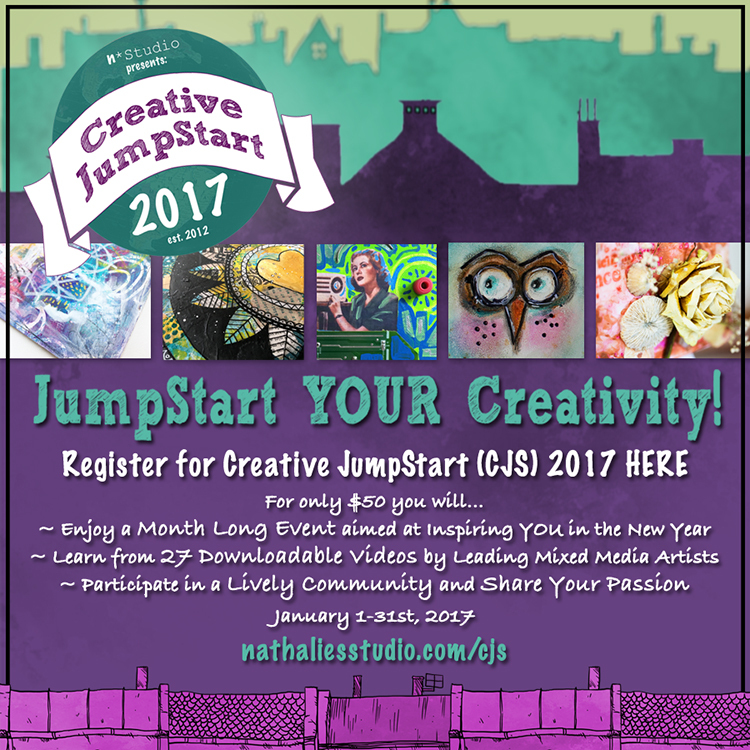 I'm excited to announce that I'll be a participating artist for Creative JumpStart (CJS) 2017, hosted for the 6th year by Nathalie Kalbach. If you're not familiar with CJS, it's a one-of-a-kind online event to kick your creativity into high gear in January 2017. Announcing Creative JumpStart 2017 - CJS17 from Nathalie Kalbach on Vimeo. If you sign up before November 30th (11:59 pm EST 2016) the cost is only $40. Afterwards it will be $45 until December 31st, 2016 before it goes to its regular price of $50. Treat yourself and jumpstart your creativity for the new year - a full month of inspiring posts to get you plugged in to making art! I participated last year - with my first video! It was super fun to see how each jumpstart artist interpreted the prompt of the theme, and I learned a lot of really fun techniques (from artists I knew and artists who were knew-to-me) and it definitely got me motivated for the new year. This will be my second year, and only my second video - I know! I'm a dinosaur....eventually video-making will become more of a habit...I hope! I am grateful to my friend Nathalie who pushed me out of my comfort zone to make these videos. I love the theme for 2017 - MIX, MATCH, & MASTER and I have translated it with a quick and easy project that everyone should try! Chime in below if you are coming along for the ride and we will get excited together! AND..........if you're a cyber shopper (who isn't?) Stencil Girl Products has deals all day long TODAY. Stencil savings up to 35% on my SGP designs! SHOP for my designs HERE. Lots of really amazing designs at Stencil Girl Products - stock up for yourself, and double up to get some gifts! My favorite rock star is 40 today. Collage of faces is not quite a perfect timeline....but it sure was fun to review his chameleon-ness over the years, and how much he has entertained us. Hyvää Syntymäpäivää - here's to at least another 40! Just in - newest Somerset Studio. 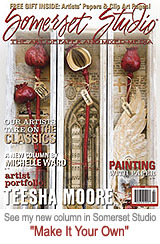 My Make It Your Own column for this issue is Draw The Line - got the title from a sign that hangs over my desk. We get so jazzed about stencils with paint, ink, gelli plates, spray paint....we often forget to just use with pencil or pen. Into the coloring book trend? 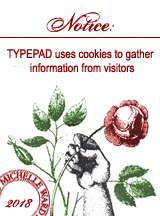 Make some pages of your own with the assistance of stencils, and some freehand mark-making. Love the stencils you already have? Pump up the contrast by adding outlines - draw the line! Magazine hits the stands this week.